Women have done some of the most badass stuff in the history of technology, and for International Women's Day we want to celebrate a few of the greats. 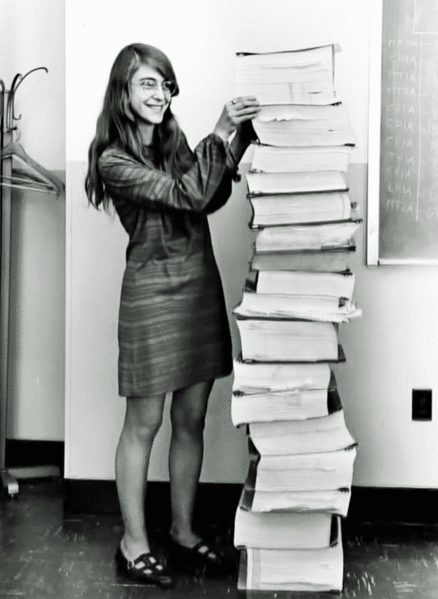 Photo of Margaret Hamilton standing next to the code she and her team wrote for NASA's Apollo program. If you've been on the internet today, you probably know by now that it's International Women's Day. To celebrate, we decided to blog about some of the women throughout history who have made outstanding contributions to the fields of Science, Technology, Engineering, and Math (STEM). She was the lead software designer for NASA's Apollo Program and SKYLAB, which took tons of astronauts to space and back again safely. It doesn't get much more badass than that. Hamilton and her team wrote so much code for the space program that it filled a stack of books taller than she was. Modern computer science owes a lot to "Amazing Grace" Hopper. She was instrumental in developing and popularizing machine-independent programming languages, and is widely credited with the development of COBOL, one of the first high-level programming languages. As if that didn't already make her a superstar, she was also one of the first programmers on the Harvard Mark I computer, worked on the development of the UNIVAC I commercial computer, and is credited with inventing the first compiler for a computer programming language. Oh, and did we mention she was a Rear Admiral in the United States Navy? Born March 23, 1882 in Erlangen, Germany, Noether was a brilliant mathematician. Her contributions to the field include an algebraic theorem that united two fundamental laws of physics, an effort that many consider to be as important as her contemporary Albert Einstein's theory of relativity. Her prolific and groundbreaking work in abstract algebra and ring theory undergirds many of the most important advances in modern physics, including the work around Higgs Boson. Learn more about Noether in this excellent piece from The New York Times. 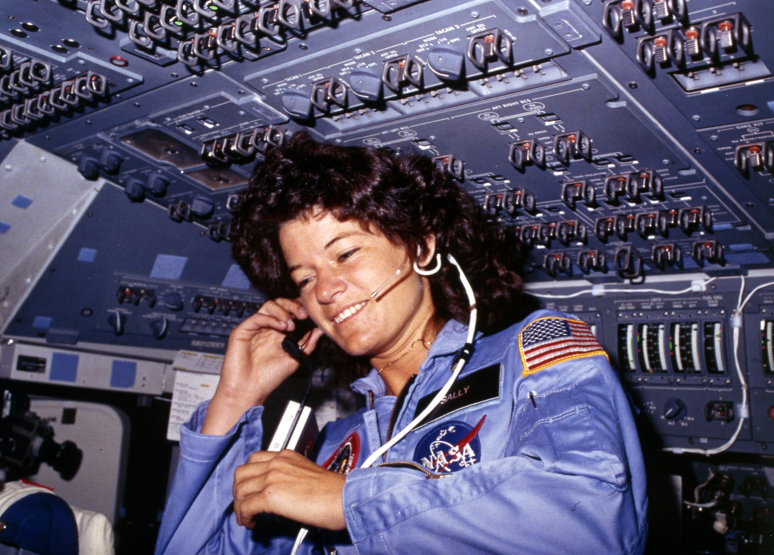 When Sally Ride launched into space in 1983 aboard the Space Shuttle Challenger, she also launched the dreams of thousands of little girls across the world who saw a whole new universe of possibility open up to them. Ride was not only the first American woman in space, at age 32 she was also the youngest American in space. She followed up her historic Challenger voyage with a second mission aboard the same shuttle in 1984. She continued to work closely with NASA until her death in 2012. Sally Ride was the first American woman in space. Computer programmers owe their careers to Ada Lovelace, the woman who wrote what is commonly recognized as the first algorithm that could be processed by a machine. Her work with Charles Babbage on his mechanical general-purpose computer is at the foundation of all modern computer science. But while Babbage saw the future of computing as focused solely on calculation, Lovelace believed that computing had far more potential. Her notes and writings prove that she was far ahead of her time. No conversation about women in STEM would be complete without a mention of Marie Curie, whose research led to the isolation of polonium, named after the country of Marie's birth, and radium. Curie spent her early career researching alongside her husband, Pierre Curie, a professor in the school of physics at the Sorbonne in Paris. After herself graduating from the Sorbonne, she succeeded her husband as Head of the Physics Laboratory. Upon his untimely death in 1906, she also took his place as the Professor of General Physics in the Faculty of Sciences, the first woman to hold this position. 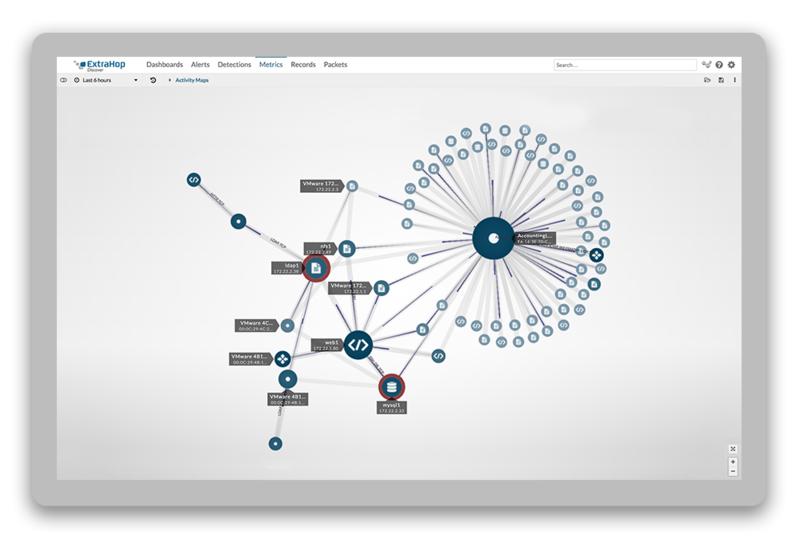 ExtraHop is also home to some women who are making a big mark in STEM. Palvi Mehta, ExtraHop's CFO, is one of those women. In addition to her work at ExtraHop, she is on the board of Code.org, for which she serves as treasurer. Her deep experience in the technology industry working with companies like RadioFrame Networks, and NewPath Networks, also makes her a key strategic advisor to Code.org as it works to advance its mission to make computer sciences education available to the masses. Palvi was also recently recognized as Seattle's mid-size company CFO of the year by The Puget Sound Business Journal.